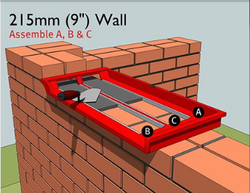 Bricky Adjustable Wall Building Tool-3 Std Wall - 4", 6", 9"
New Adjustable Model to build the 3 standard wall widths. 102.5mm (4″), 140mm (6″), 215mm (9″). 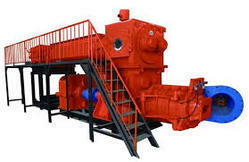 Product Capacity : 120 - 180 Brick / Min. The company is ranked amidst the famous Manufacturers, Exporters, and Suppliers of Bricks Making Plant (RT4-15) in India. The Bricks Making Plant, we provide, offers unsurpassed performance and longer working life.